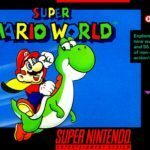 Do you want to play Super Mario Kart (AKA スーパーマリオカート Sūpā Mario Kāto in Japan) for the SNES online? You have come to the right place! SMK was the first racing game of the Mario Kart saga and it’s a totally amazing! 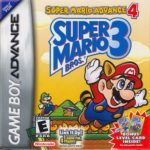 The question is: Which one is better, this one or Mario Kart 64? Super Mario Kart is a 2D kart racing video game developed by Nintendo EAD team from Nintendo Japan. The game managed to sell 8 million copies, making it the third best selling game for the great SNES (Super Nintendo Entertainment System). This is the first game of the popular driving saga and was released in Japan the 27 of August of 1992, in North America the 1 of September of 1992 and in Europe the 21 of January of 1993 and, as usual, in Europe was the last to receive it. Mario, Luigi, Koopa Troopa, Toad, Bowser, Princess Peach, Donkey Kong Jr. and Yoshi, we have 8 different characters from the Mario saga: The cute green dinosaur. In the game the characters can throw objects like shells and use some others like coins or mushrooms to get extra acceleration. It was a revolutionary game and now playing online is a blast! 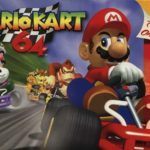 Many video game publications (IGN, Edge, Gamespot and others) have rated Super Mario Kart as one of the best games in history. Later, Super Mario Kart was released for the virtual console of Wii and Wii U in 2009. All the consoles of Nintendo have their own version of the game, being Mario Kart 8 deluxe for Nintendo Switch the last one to see the light this year 2017. Ready to play Super Mario Kart online? This epic karting game, Super Mario World (1990), Street Fighter II, Chrono Trigger and some more were games of the moment. Epic titles that made the SNES one of the greatest systems of all time! 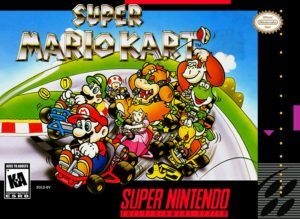 Play now online, for free and without downloading anything at all to Super Mario Kart, one of Nintendo’s biggest hits for the 16-bit Super Nintendo video game console that created a before and after in the world of car racing games in the 1990’s. Do you remember playing with your friends when you left school or high school? We do! And now you can do it with a fantastic SNES emulator that does not depend on Flash … Amazing! Super Mario Kart has been ported to SNES (this version), Nintendo Game Boy Advance and Virtual Console, and now you can play it online on MyEmulator.online. No downloads required! Did you enjoy the game? Share it with your friends so everyone can play.